It's been said by several, in one way or another, including by Paul Theroux, that "a day without writing is a wasted day". That could be true in more ways than one: as well as practically being a no-brainer for anyone who wishes to write professionally (even if this is easy to say and less easy to do), it's vital to do so for those who struggle with their feelings and their state of mind, as it could mean the difference between getting through the next day and not. The form this could take, however, is becoming increasingly varied. While paper diaries themselves are still a popular format when it comes to expressive writing, the rise and rise of blogs, Facebook and Twitter naturally means that venting one's spleen online is also growing in popularity. The crucial difference between these formats is the public nature of the internet, and personal experience shows that this can do harm: keeping an online diary at the age of seventeen, in which I outlined in some detail my crush on my English teacher, meant that I was rumbled when classmates not only found it but then told the member of staff in question. One excuse for this could be that blogging was newer then, and that we as a generation were a little less schooled in keeping our details private when using the web. So, one could ask, why am I writing all of this down here, now, again in public? 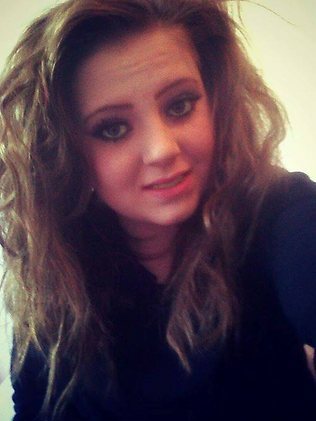 Partly because I believe that the subject of protecting oneself online needs to be discussed openly, particularly in schools where no social education classes are given, and particularly in the light of prolific cyberbullying cases such as that of Hannah Smith. Hannah was not writing a diary online - but anyone who chooses to have a presence online (which, in the Western world, is most people) exposes themselves to criticism by others, even without revealing their deepest feelings. You'd think that this would be a vote for the traditional paper diary. But even those can be found and read by others - so it's worth remembering that you take a risk the second you commit your feelings to paper. But does that mean diary-writing (or 'journaling', as the Americans irritatingly call it) should be abandoned altogether? Not at all. One study, conducted in 1986 by Professor Pennebaker, found that encouraging people to write expressively to vent their feelings was better for their mental health than bottling up traumatic experiences. This effect proves timeless, as found in subsequent research. However, research carried out this year in Israel by Professor Barak has uncovered an interesting twist: those who blog about their feelings in a way that is set up to invite comments benefited most from expressive writing compared to those who blogged privately, and those whose blogs were open to readers but closed to comments. This takes diary-writing in the direction of 'group therapy', even if this is carried out remotely when compared to traditional counselling: people are invited to comment and advise, which may lead to them sharing their own experiences, arguably allowing one's most intimate feelings to be directed in a more constructive manner than a private diary. However, it would be naive to assume that the risks of the internet automatically disappear in this situation, with Professor Barak still advising caution. Anonymity is still possible online, but is growing increasingly difficult to maintain thanks to many websites using Facebook, Google, or OpenID as online 'passports'. Possible anonymity for the writer also means possible anonymity for bullies, and when bullies fear no repercussions, the results can be disastrous, as in the case of Hannah Smith. But these cases are unusual, and that is why they make the news: Professor Barak maintains that of the hundreds of online comments made during their study, only a few were deleted for being abusive - and that the very act of writing one's feelings down remained significantly therapeutic. Public or private? Weigh up the benefits and consequences of both options. Publicly-accessible online diaries could attract positive and constructive comments, or negative and abusive ones. Private online diaries can be password-protected, meaning that people who you don't want to see your feelings can stumble on them less easily, while still providing you with therapeutic benefits. Finally, keeping private paper diaries, while less secure, can feel more 'real' thanks to the actual act of writing something down by hand, and later can prove valuable hard evidence of how far you've come if you ever feel a bit shaky again. I've done both and can see the benefits of both - even if I'd now use a different modus operandi to my seventeen-year-old self when proceeding online. Don't just stick with the usual 'Dear Diary' format when writing for therapy. Poems, lists, and drawings (even if you can't draw!) are all equally beneficial when trying to find a way through the muddle of your thoughts. Don't worry about spelling, punctuation, grammar or repetition. And I say that as an English teacher! 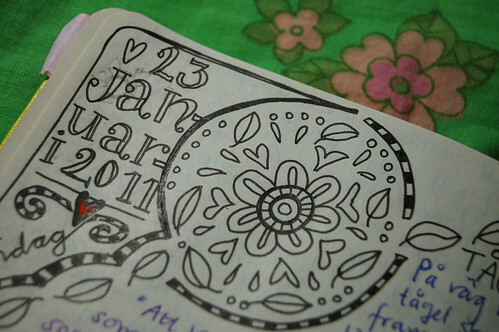 Diaries aren't a school assignment - they're therapy. And repetition can actually be vital in helping you to sort through your feelings. It's not written to be an entertaining read, but to help you. Write whenever you like. Diaries don't have to be an everyday thing. You may find yourself writing every day (or even multiple times a day) if you are feeling particularly distressed, but there's no rule. Play it by ear and relax. Be patient. As with any therapy, you won't see results overnight. I won't go as far as to say that "time heals all wounds", as we all have aspects of our lives that have made us who we are today and that we won't forget. However, to say that "time is a healer" is closer to the mark, and to come back to one of the major pluses of paper diaries, it is greatly valuable to be able to look back over, say, six months' worth of entries, and to be able to see development and progress in your thought processes.